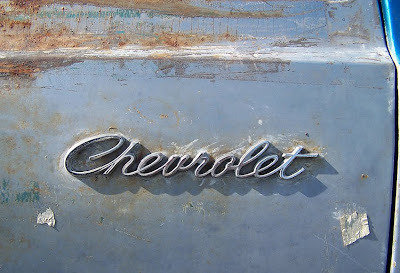 1956 Chevrolets get the least amount of love from would-be Tri-Five owners. Tri-Fives being 1955, 1956 and 1957 Chevys. 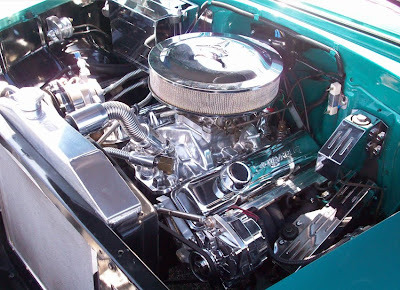 I’ve always had an affinity for the middle child of Chevrolet’s Tri-Five trinity. 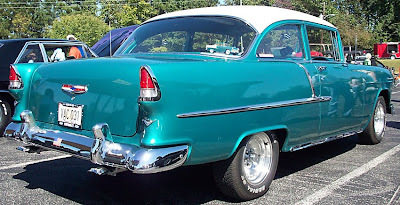 My dream car was a ’56 Bel Air 2-door post that my dad owned during my high school years. It was black with a Muncie 4-speed and a 396-cubic inch Chevy big block. A Dana 60 rear end with 3.73 gears transfered the power to the blacktop. The trunk was butchered and filled with shabby home-made wheel well tubs. I didn’t care about craftsmanship. There was plenty of room for giant rear tires that I never got to vaporize at the drag strip. I can still feel the velour diamond tuck and roll seats and Grant steering wheel in my once 16-year old hands. 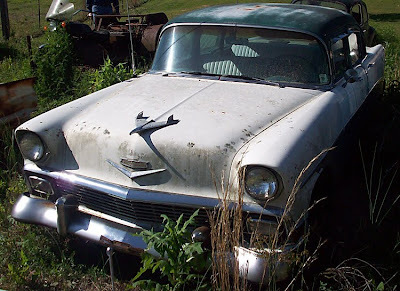 Anytime I see a ’56 Chevy, I remind my dad that he should have kept that car for me. Life happens and things always change. 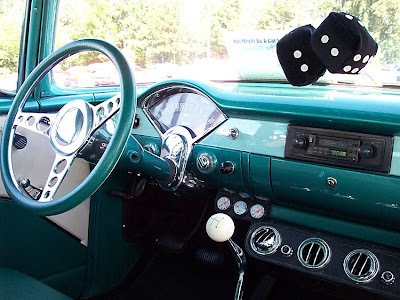 The ’56 was sold for around $2,600 in the late 1980’s. My dad also ended up selling the red ’55 Chevy 210 he owned at the time. He was one 1957 Chevy away from owning a complete set of Tri-Five Chevrolets. It’s been twenty-one years since those memories were burned into my consciousness. 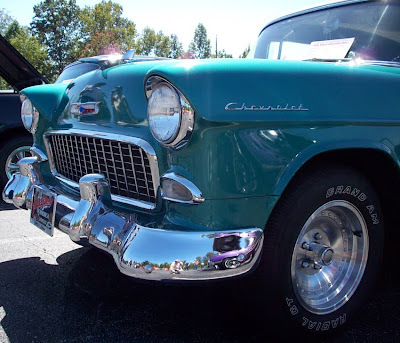 Seeing this old 1956 Chevy 4-door was just what I needed for a walk down memory lane. I hope you enjoy it as well. Send your car stories and photos to me here. Four-door is an ugly word in many car circles. For decades, teenagers have been taunted for driving their 'mama's car' should they be burdened with two extra doors. It was as if a ‘more’ door branded you as only qualified for life in the slow lane. 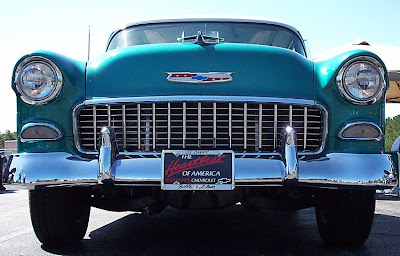 The 1957 Chevrolet has been ballyhooed as the most recognizable car in the world by folks in many automotive circles. Do four doors, a functional convenience feature, still make 1957 Chevrolets second-class citizens? 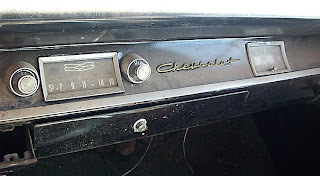 A co-worker of mine traded his 1957 Chevrolet Bel Air 4-door for a new pick-up truck in 1994. The dealership gave him $1,500 towards his new truck in return for one of Chevrolet's iconic classics, albeit the four-door variety. 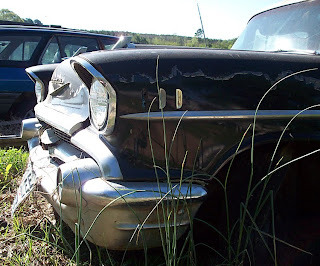 A short time before he parted with the four door '57, he sold his 2-door 1957 Chevrolet Bel Air. 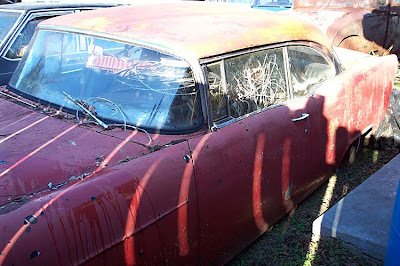 The red 2-door was drivable, but in need of restoration, it brought $10,000. Those two bonus doors made a big difference in value 15 years ago. What about now? Will the cool factor find favor in four-door classics? Will the 2-door varieties become too scarce and expensive? Let me know at junkyardlife. 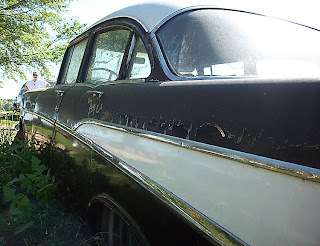 Check out these recent photos of a 1957 Chevy four-door languishing in the weeds. Would you save it? Use it for parts on your two-door project? Let me know. You can leave comments or send me an email here. Click on photos for much larger images. 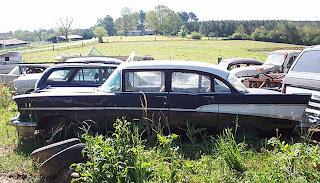 This 4-door black and white 1957 Chevy would make a good patrol car. 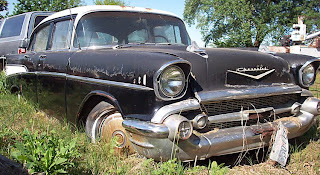 This 1957 Chevy was hauled from Texas to Alabama. Look a 1957 Chevy. Oh no, its a more-door! 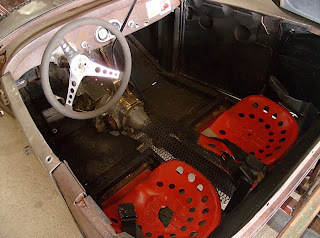 Are inline sixes, 2 cylinders less cool? Red wheel center with Two Ten on it. 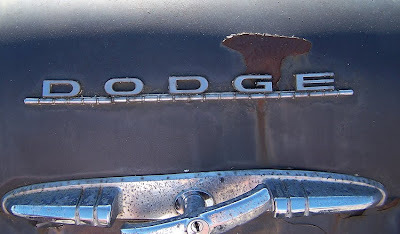 ’57 Chevy kissing bumpers with a Dodge. 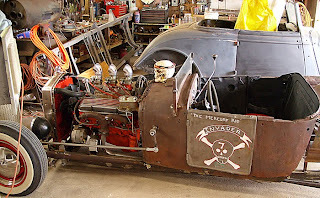 Car guys and gals looking to score some vintage pre-war steel know about the legends of the West. Go West, take a walk out into the desert sand and start looking for abandoned cars. 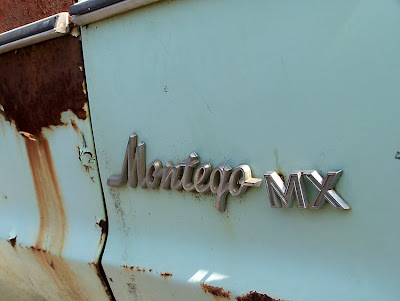 Classic cars will be everywhere and all will be rust-free, of course. 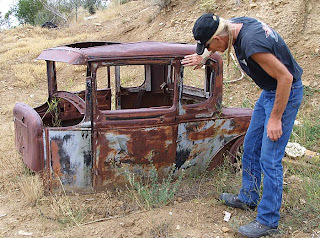 Alabama hot rodder, Hal Lee, tested the legend and his luck by trying to find a 1927 Model 'T' coupe in the desert. Hal saw hundreds of potential project cars and met some unusual characters on his great adventure West. Hal took all of these great photos and was willing to share them. So, I'm not going to give away all of Hal's secret connections and locations. 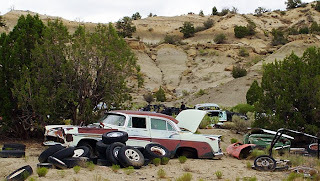 He found old mine cars and met a sculptor (the ponytailed guy in the photo with a 1929 Model A) while combing the backroads of northern New Mexico. 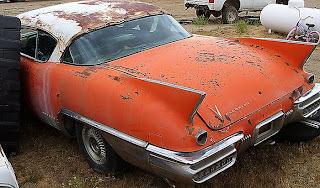 Hal ventured into a junkyard in New Mexico which had a complete 1958 Cadillac Eldorado for sale. 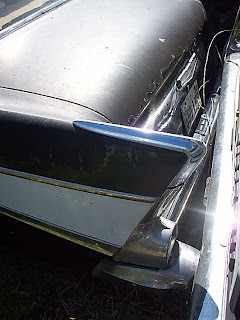 The mountains of chrome garnishing Cadillac's finest from 1958 made the $8,500 asking price seem reasonable. Inside a hangar-style garage sat two 1955 Ford Fairlanes, not for sale. 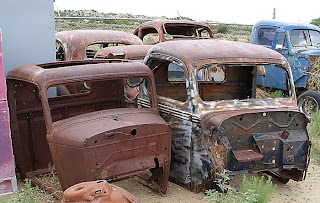 The desert climate helped preserved these decades old, steel-bodied vehicles from the ravages of rust. 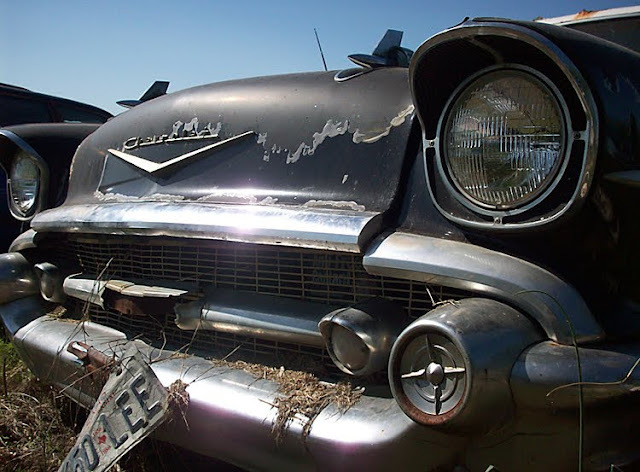 Do you have an cool vehicle or junkyard story you would like to share with us? Send them here. Bobby Wood remembers that he got married on the last day of April in 1955. Wood is also quick to point out that on May 26, 1955 he bought a new 1955 Chevrolet. “I’ve still got them both.” Wood says proudly. 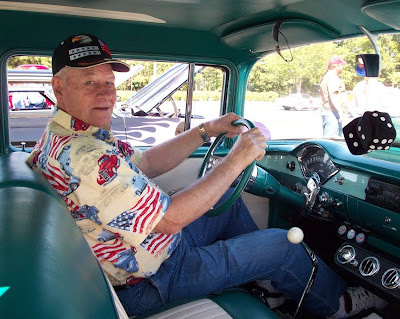 “I was in high cotton with a new bride and a new car within a month.” 54 years and a lifetime of family memories ride in this one-owner classic Chevy. Wood’s Neptune Green with Shoreline Beige topped Chevy was purchased at Al Dement Chevrolet in Birmingham, Alabama. Wood knows every inch of his car and it’s history. “I paid $2,400 for it and the salesman’s name was J.D. Lyle.” Wood really wanted to buy a Ford and trade in his black 1948 Chevrolet Fleetline 2-door. The Ford salesmen let one get away that day. 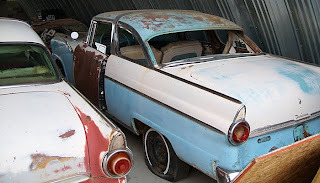 In 1967 Wood parked the 12-year-old ’55 with plans of a restoration. 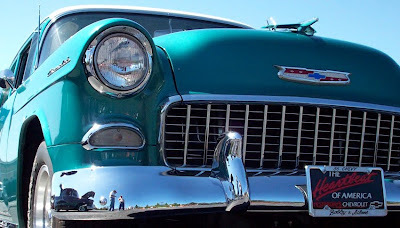 23 years later, in 1990, Wood’s 1955 Chevy hit the streets again. 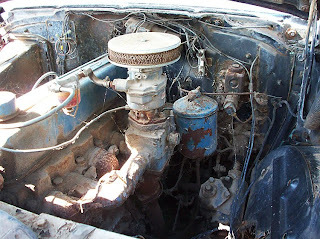 A 350-cubic-inch Chevy crate motor and a Saginaw 4-speed transmission combined to offer Wood more power to the wheels. Wood’s ’55 has relatively low miles despite more than five decades and two engine combinations. 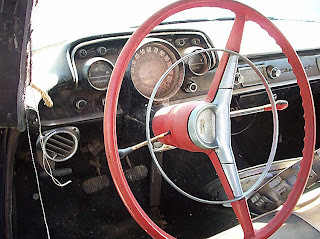 “The speedometer went out at 97,000 miles and I’ve put less than 3,000 miles on it since then,’ Wood added. You don’t have to ask. I did. It’s not for sale. “I told my wife to bury me in the car when I go,” Wood says with a smile. Junkyard explorers, your treasures await. 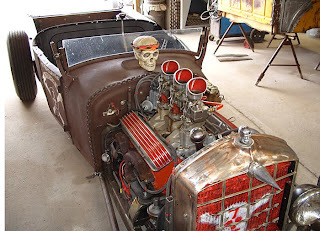 That was my first thought as my friend Wayne and I drove to the local pull-your-own-parts junkyard. 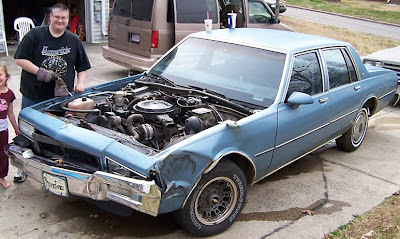 I needed a fender, front bumper, header panel and core support for my latest project car – a 1990 Chevrolet Caprice. From wrecked to redemption was my plan. Wayne was looking for a wheel for his dad's Saturn and some miscellaneous mid-1980s Firebird parts. We had a full day of junkyard exploring ahead of us. 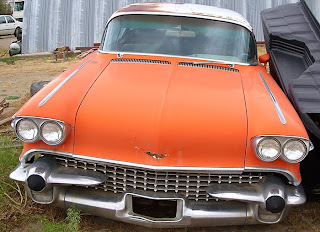 It is always good to have a list of several items when shopping at junkyards. You don’t want to come home empty handed. At most pull-you-own part yards you pay an entry fee and sign a waiver. The waiver says you won’t hold the business liable should you become injured on their property. Our usual plan is to roam the yard inspecting would-be donor cars for the best parts. Then converge on the best parts and begin removal. We were prepared to spend a few hours hunting and gathering. After lots of walking while wheeling a wheelbarrow full of tools, we narrowed our choices down and spent an hour and a half removing parts together. We needed a trailer to haul our cumbersome parts to the cashier. On this particular day, a Spanish-speaking employee transported us and our parts to the main building. We paid for the parts and attempted to fit them into my wife's minivan. After a bit of dismantling of the fender from the core support we got it all to fit. Luckily my wife didn't notice the grease on the carpet. 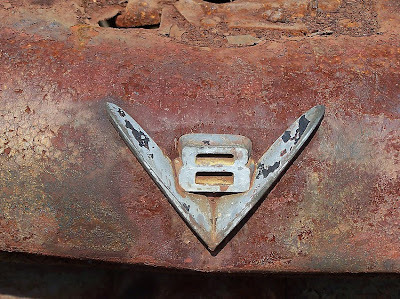 Most big city salvage yards have a knowledgeable counter man or woman who acts as all-knowing gatekeeper of the junkyard. The counter man should know if your part is on the yard and where it is located. The cars and parts in the junkyard are the business assets. They don’t take request to wander the yard lightly. Part pulling is reserved for their employees. If they have the car with the part you need, negotiate a price. If it’s a sheet metal part, you should inspect it first. Soak up the atmosphere on a stool at the counter. 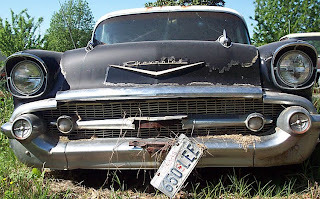 You may be in for a wait until a veteran part dismantler reappears with your junkyard gem. Why am I a junkyard junkie? 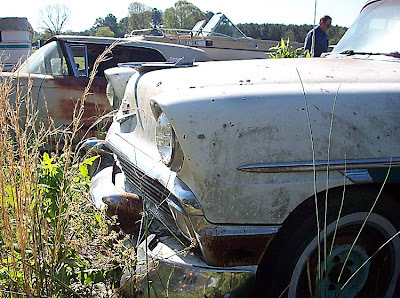 I have fond memories of junkyards. My dad once owned one and it provided us the means for food and clothes. Most of all it gave me the chance to explore a world of automobiles. My day exploring brought me the parts to turn my $400 project car into a daily driver. 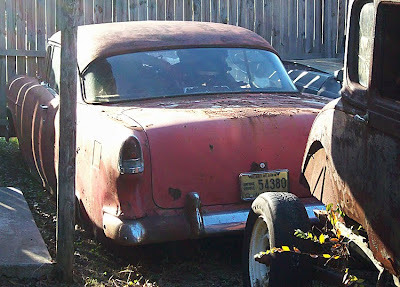 Take a trip to a junkyard. Explore the past and build your future. 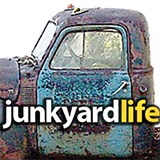 If you have any junkyard photos, tips or junkyard memories email me at junkyardbull@gmail.com. 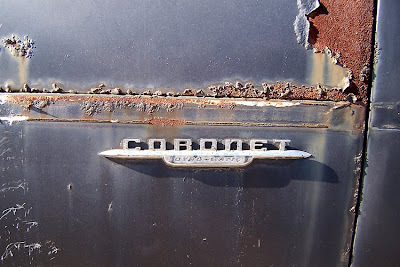 Look around any junkyard and you will find nameplate emblems. 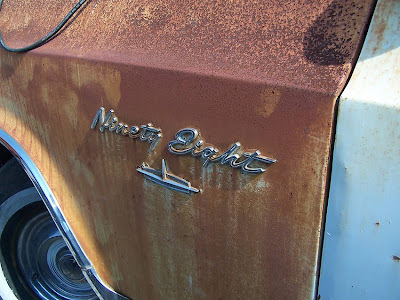 The shiny signage that tells the world what your driving or were driving before it landed in the junkyard. 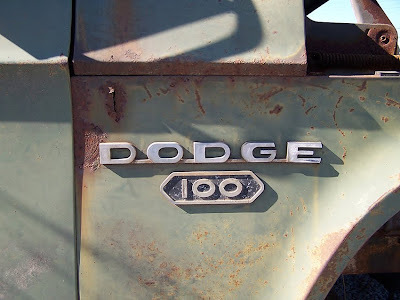 Chrome-plated die-cast or stainless steel nameplate emblems can often last decades longer than the vehicles themselves. I spent a few minutes scanning the local salvage yard for nameplates. 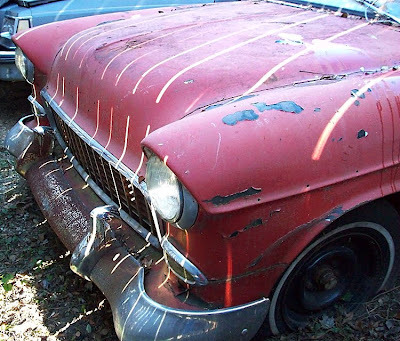 Some clean, sparkling examples were found but most revealed the tell-tale signs of abuse and neglect that led the vehicles to the junkyard in the first place. Unique examples of dead nameplates are the most sought after. Manufacturers will resurrect successful names and attach them to new vehicles for immediate name recognition. 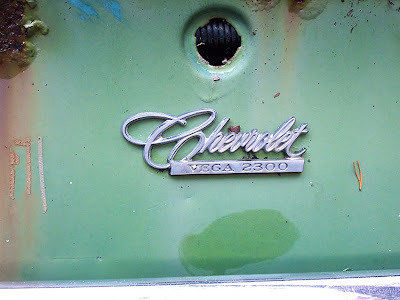 I found a rare Chevrolet Nomad nameplate. 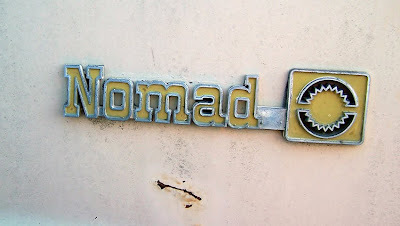 Not the Nomad emblem that began in 1955 but one that was still used in 1979 on Chevrolet’s full-size vans. Painted yellow and dulled by years of exposure to the elements. 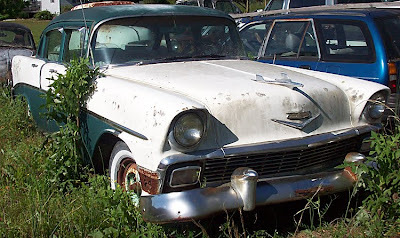 A far cry from 1955-57 Nomad that was used on Chevrolet’s 2-door station wagons. 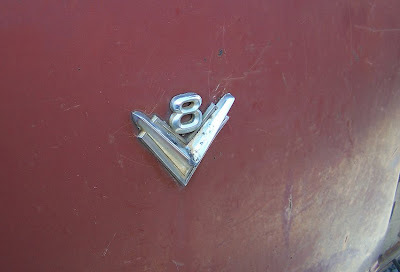 The Nomad name continued on top of the line 4-door station wagons from 1958-61. Four-door wagons continued to rule the nameplate with the 1968-72 model years. I was surprised to see the Nomad name and wished I had added it to my collection. Got a cool emblem/nameplate collection? Send pics to me here and I will post them on junkyardlife. 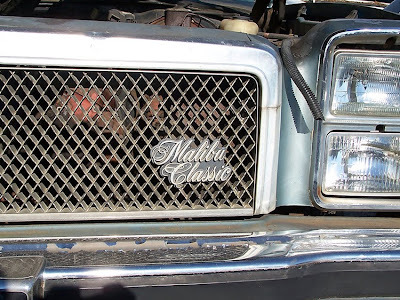 1976 Chevrolet Malibu Classic emblem made of plastic. Ugh!